This text is the outgrowth of Stanley Middleman&#146s years of teaching and contains more than sufficient materials to support a one-semester course in fluid dynamics. His primary belief in the classroomand hence the material in this textbookis that the development of a mathematical is central to the analysis and design of an engineering system or process. His text is therefore oriented toward teaching students how to develop mathematical representations of physical phenomena. Great effort has been put forth to provide many examples of experimental data against which the results of modeling exercises can be compared and to expose students to the wide range of technologies of interest to chemical, environmental and bio engineering students. Examples presented are motivated by real engineering applications and may of the problems are derived from the author&#146s years of experience as a consultant to companies whose businesses cover a broad spectrum of engineering technologies. 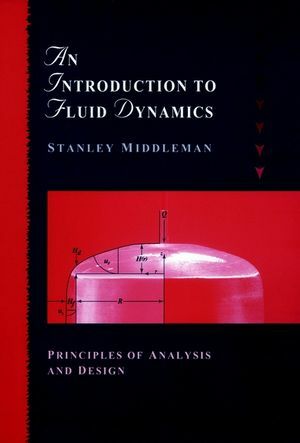 Stanley Middleman is the author of An Introduction to Fluid Dynamics: Principles of Analysis and Design, published by Wiley. Examples from a wide range of technologies provides students with an enhanced orientation to career opportunities and offer instructors more variety while teaching this course. Experimental observations are integrated with text analysis. Worked examples and homework problems facilitates teaching difficult concepts to students who require a more physical rather than mathematical connection. Design concepts and illustrations of design problems gives students exposure to the real engineering experience and help instructors integrate this material with later courses that have design orientation. Class tested at University of California, San Diego, Berkeley, University of Massachusetts and University of Delaware to ensure clarity of presentation.